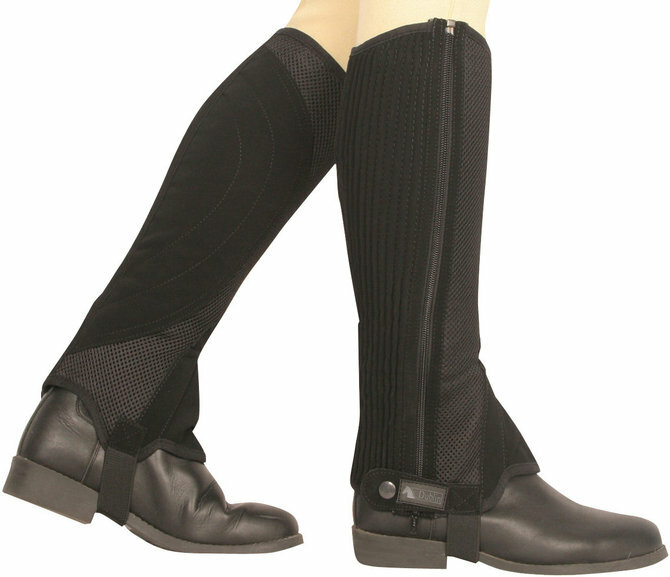 Dublin Easy-Care Mesh Half Chaps are made with durable synthetic suede that is machine washable, making this chap easy to care for. Full length side zipper with snap closure and elastic calf to ensure a terrific fit and extra comfort. The mesh material gives you maximum breathability, ideal for warm weather!